Holidays are getting closer and that means you should speed up your search for a luggage. Before you get swapped away by the suitcase design and irresistible color, make sure you consider the quality too. Design is actually the last thing to be considered. There are so many variations of luggage on the market you can choose between. We have reviewed and rated some of the best suitcases. To safe you the time, we have also tested their features and have chosen the best suggestions for your next trip. What we discovered is that there are no universal vacations and therefore, there are no universal suitcases. Each person should choose according to his own preferences, although the quality of some products is undeniable. Having all this on mind, these Tumi suggestions came pretty close to being the perfect choice. Tumi is considered a luxury luggage company which has a sustainable top of the notch quality. It is founded in 1975 and have made name for themselves by using their famous ballistic nylon material. Tumi also manufactures other accessories such as belts, pens and other business equipment. 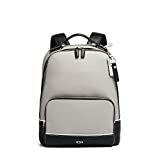 The company has been manufacturing innovative travel items since the day they are founded, however, the prices of their products became acceptable to the masses after 2004. Nowadays, when people consider buying a Tumi suitcase, they are usually contemplating the price. No one has ever questioned the quality of Tumi luggage. If it fits your limited budget, it is a great choice you won’t regret. 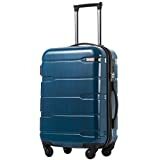 There are hard shell suitcase materials which are suitable for items which could easily be damaged, but they also have a slightly increased weight. On the other side, there are soft suitcase materials which could not be scratched and are extremely lightweight. Whichever option you choose make sure you balance these two alternatives according to your needs. Every traveler dreams and plans on packing only the essentials next time, but the reality is that no one has ever succeeded in this. The only other alternative is for your case to be lightweight. To reveal a public secret – suitcases are not handled with care on airports. Instead, they are being tossed around. Therefore, a solid frame is the first thing you should look for in a suitcase. The durability of a luggage depends on the construction of the frame. If you get this right, your luggage would be a faithful companion on every trip you take for years to come. Some brands have a shady reputation while others are fighting the copies of their products on the market. There is a simple reason for this. Some companies, have proven themselves with their quality and durability and on the top of that they even agree on covering the defects for a certain period of time. Timu is one of these quality compared companies which has a five year guarantee on its products. Starting with the most important quality, this Tumi product has a solid frame which can endure almost any pressure. You can feel confident enough to put a fragile object between your clothes. The zipper is usually the first thing that goes wrong after a while. In this case, this issue is avoided by inserting a zipper with high quality and well aligned zipper teeth. The only way the zipper is going to fail you is by over packing it. The TSA approved lock is just the tip of the iceberg; in extreme situations it allows opening the suitcase without damaging it. As for the size, it is perfect for two people or for an extended trip. The shell of the suitcase is hard, so it adds to the protection of your belongings. As for the designer in you, its shell is covered with a glossy finish which gives the suitcase a luxury look. 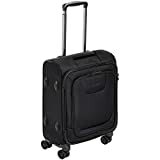 30.5" x 20.5" x 10.5"
Specific features: · Polycarbonate · Zipper closure · Retractable top handle, TSA lock, 4 wheel system · 3 stage handle Everyone who has ever tried a Tumi suitcase, knows that it means buying a quality product; this suitcase proves the case. Its 4 wheel system has a great maneuvrebility and can be spun in every direction with ease. The telescoping handle comes in three stages and is easily adjusted. 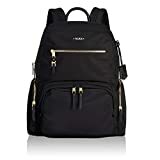 However if you are not a frequent traveler, the TSA lock, might confuse you, but Tumi has taken care of this issue by including directions of use in the package. Even though the suitcase is lightweight, it is very durable and if not mishandled, it could last you for years. A small detail of attention is the zipped section inside which includes small pockets for small objects like jewelry for instance. Its only downside is the price, but having in mind the features included, you still get a great deal out of it. 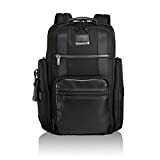 Specific features · Ballistic nylon · Textile lining · Zipper closure As an alternative to the polycarbonate suitcase material is this Tumi product made from 100% ballistic nylon. This material is extremely durable and resistant to scratches. However, it is not recommended for packing fragile objects inside. Its rotating wheels are allowing movement in every direction and improve its functionality. And as a bonus feature is that the wheels are silently following you without driving attention to your suitcase. It is spaceous enough to accommodate weeks worth of clothes or clothes for two. 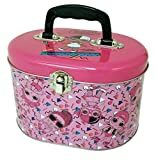 This suitcase represents the top of the line quality and it is a product you wouldn’t have to replace every other year. Having on mind the price of the luggage, it is a product which shouldn’t be bought every year. Instead, you should get the quality you are paying for and travel many years with it through sand and snow. However, the reality is that in order to choose a quality product, a thorough research of its qualities and properties should be made. In order to save you the time, we have done this fore you and have shortened the list by leaving you with three quality choices you couldn’t go wrong with. Make sure you share with us your choices in the comment section bellow!